Modern convenience meets country charm! Step back in time when you enter the foyer with the beautiful wooden staircase and crystal chandelier. 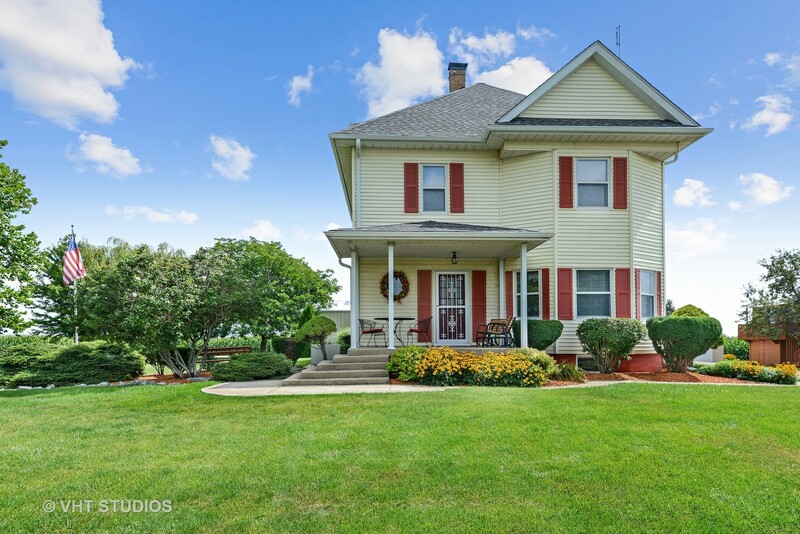 This home has been beautifully maintained and has been updated over the years. A huge addition was added in 2005 with an open kitchen, large eating area, full bathroom and laundry room. The kitchen has all the bells and whistles you could ask for! If you are looking for a home to raise your family, this is it. There is even a tree house for the kids with electric and bunk beds! There are four out buildings for plenty of space for cars, boats, tractors, trailers, farm machines, etc. (48' x 30', 51' x 46', a one car garage and a storage shed). The home was completely rewired with 200 Amp service in 2015 and the outside wires were bored underground. New water line from house to well in 2015. New Seamless gutters in 2014. A reverse osmosis system installed in 2014. Patio and outdoor fireplace installed in 2014. New water softener in 2013. Must see!